We have enjoyed another year of great SATs Results. We are in the top 1% of all schools nationally for Attainment and Progress in KS2 Reading and Writing. At St Mary’s we believe a child’s literacy skills are the cornerstone of their education. We teach and use these skills in every aspect of our curriculum, so our children develop good core skills which they can apply in the wider world. We believe great speaking and listening skills are fundamental in developing great reading skills, which are fundamental in the development of great writing skills. Every class has a lovely, creative reading corner where our children can find interesting books to read and have quiet time to read. 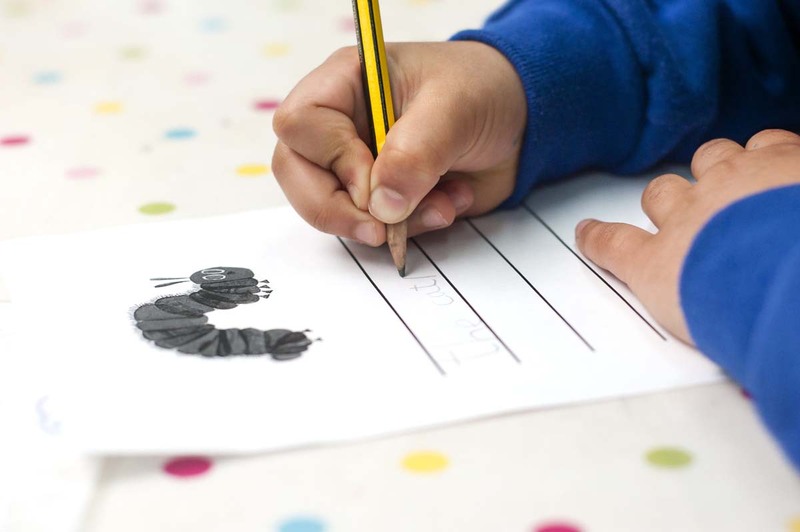 Every class has Guided Reading every day with their teacher and learning assistant, where we use a range of Reading Schemes and materials which all complement each other. We promote an enjoyment for reading through regular opportunities to read and choosing books from the school and local library. We have strong links with our local library – with our children having the opportunity to go and listen to stories and performances there, as well as having weekly visitors from the library to read our children stories. Try to create a relaxed reading atmosphere. Establish a regular time and place to read and ensure the surroundings are as calm as possible. If your child doesn’t feel like reading, offer to read to them instead. Be positive about reading! Children don’t have to read with you. It can be very motivating for them to read with siblings, grandparents or friends. Talk to your child about the books they are reading. Before reading, challenge your child to be a book detective: look at the book cover and see if they can guess what the book will be about or what type of book it is. As you read together, talk about what is happening in the book, what might happen next, and anything that has puzzled them. When your child finishes a book, ask them whether they liked it or not and encourage them to explain why. Help your child engage with books by using them as an inspiration for play. You could try acting out part of the story, or making something from the book. Remember that reading a book is not the only reading your child will do. Encourage them to read signs, leaflets, recipes, instructions and so on. By reading these types of texts your child will often be reading without realising they are doing so! 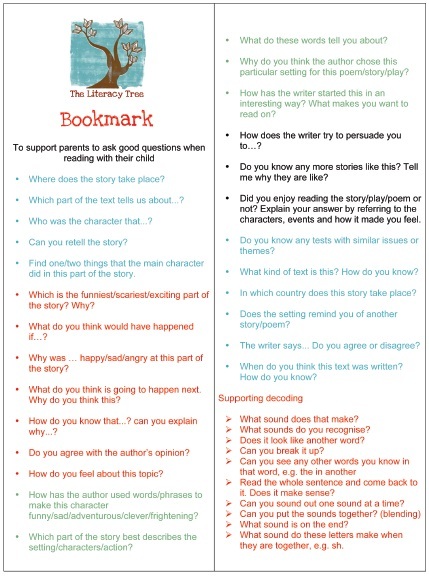 Use the Reading Bookmark below as a prompt to ask your children some questions about what they are reading to check their understanding.